Psoriasis is a chronic autoimmune disease that can affect the skin, nails, and joints. A problem with the immune system causes it to send out signals that increase the growth of skin cells leading to red patches that might be covered with a buildup of a silvery/white scale. It is also associated with diabetes, obesity, stress, depression and heart disease. It affects about 4% of Americans and tends to first show up in early adulthood. The underlying problem in psoriasis is a dysfunctional immune system. There are a variety of genes that are thought to be related to psoriasis, but genetic testing is not yet useful. Interestingly, not everyone who inherits these genetic factors develops psoriasis. It is likely that external triggers are also important. Stress – Stress is a MAJOR factor in bringing out psoriasis. It is not at all unusual for patients to have a flareup due to job loss, relationship problems, a death in the family, or other major changes in life. Activities that reduce stress (includeing stress reduction classes, yoga, or other relaxing activities) can lead to improvement and are recommended. 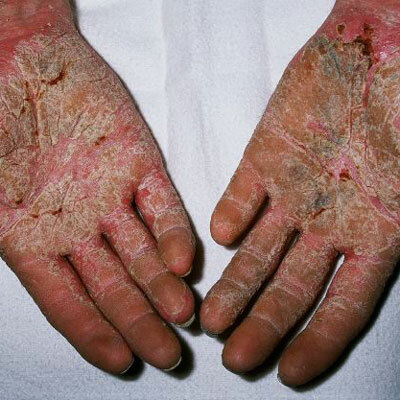 Injury to the skin – Any trauma to the skin can bring on psoriasis (known as the Koebner phenomenon). This is part of the reason why psoriasis often shows up near the elbows and knees. 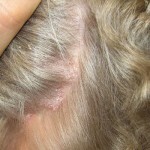 Rubbing, scratching, and friction can all induce the development of patches of psoriasis. Other things that injure or irritate the skin, like burns and infections, can also stimulate it as well. 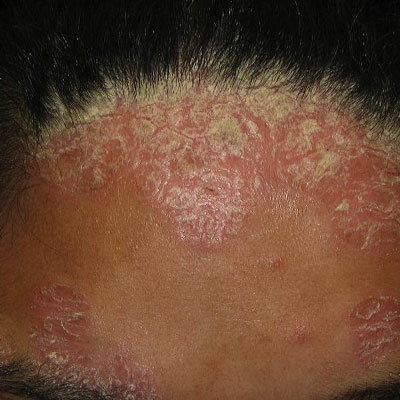 Drugs and medicines – There is a long list of medications that can make psoriasis worse, such as Lithium, Plaquenil, Inderal, and Indomethacin. Presently, there is no cure for this disease, but it can be managed and clearance is achievable. Listed below are some of the common treatment options. They are arranged roughly in order of effectiveness AND risk – as you go down the list, the medicines become more potent and riskier. Almost every patient should try topical medicines first and step up to more aggressive treatment if necessary. Clobetasol is a super-potent steroid that is very good at reducing scaling, redness, and itching. If it is used for too long, it WILL lead to thinning of the skin, so once a patch of psoriasis thins out, you should use Clobetasol less often. Using it for two days each week tends to be safe for maintenance. Vectical and Dovonex are super-potent vitamin D medicines that slow down growth in the skin. They don’t cause thinning like steroids, but are expensive. Oral vitamin D doesn’t have the same effect and it doesn’t help to take more if it is a supplement. These medicines are useful because they can help help steroids work better and once things are under control they can help with maintenance. One strategy is to use clobetasol to thin the psoriasis, then use Vectical or Dovonex to keep it that way. Tar has been used for ages, and for some patients can be helpful, but it is smelly and messy. Some of the topical medicines are expensive, but check the company websites for rebates/coupons/etc. 70% of patients see some improvement with natural sunlight. For most patients in Seattle, this means that their disease improves quite a bit in the summer. 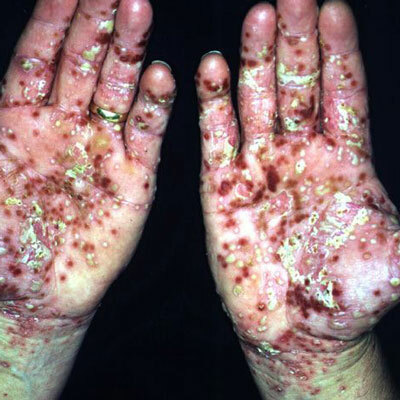 In the winter, their psoriasis often flares. 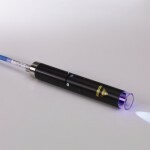 A more effective form of light treatment is phototherapy which uses narrowband ultraviolet B light. Narrowband works faster than sunlight and gives much better results. Most importantly, it does not show the same carcinogenic effect that sunlight or tanning beds show. Treatments are usually performed 2-3 times a week for a treatment course of 30 treatments after which patients are transitioned to once weekly maintenance treatments. Patients usually do not need to bother with topical treatments when they are doing phototherapy. We are the only clinic in Issaquah with phototherapy and one of only a few in the Seattle area. Depending on the part of the body that requires treatment, we will recommend treatment in either our phototherapy cabinet or with our Pharos™ excimer laser. The Pharos laser works well for areas like the scalp that can’t be easily treated with the Daavlin booth. 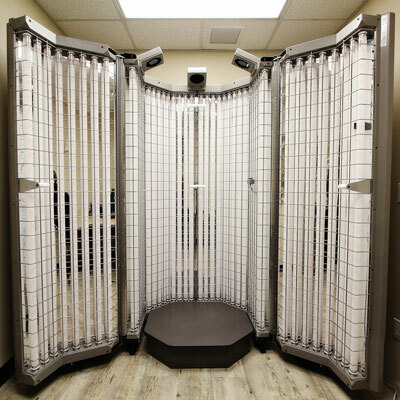 Our Daavlin phototherapy booth is a state-of-the-art computer controlled system that clears nearly every patient of psoriasis during their treatment course. The Pharos excimer laser provides very intense narrowband UVB light and is hands down the best laser available today for treating severe psoriasis on the hands, feet, or scalp as well as for treating vitiligo on small areas of the body. Tanning beds use mostly ultraviolet A light, which doesn’t work as well for psoriasis, isn’t covered by insurance, and is carcinogenic. These are used for more severe disease. 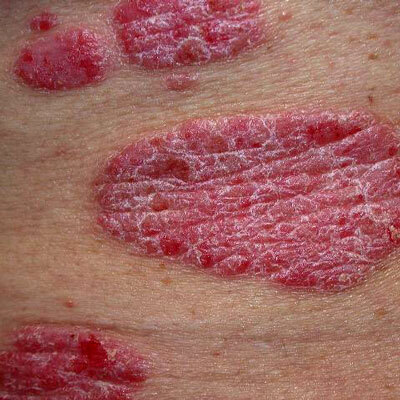 Methotrexate, Soriatane and Cyclosporine are all FDA approved for psoriasis. Methotrexate is used most commonly and is inexpensive, but requires blood tests before starting the medicine and careful monitoring while on the medicine to check for side effects. It is contraindicated by pregnancy, kidney or liver disease; or a history of alcoholism, leukemia, or low platelets. It suppresses the immune system and can affect the liver. Soriatane does not suppress the immune system at all, but typically raises cholesterol and can cause damage to the liver. Therefore, it does require frequent blood monitoring. It is very expensive, but since it does not affect the immune system it is a good choice for patients who need a systemic medicaiton but have a history of cancer. Cyclosporine has many side effects, especially on blood pressure and the kidneys. It requires careful monitoring. However, it is incredibly effective at bringing about very rapid control of psoriasis, making it a very good choice when a quick response is needed. These are a new class of targeted biologic medicines that more precisely shut down the inflammatory problem underlying psoriasis. They are self injected weekly or every other week, or given in the office about four times per year, depending on the medicine. They are very expensive (usually $20-30,000 per year) and require prior authorization from insurance. They suppress the immune system and, a history of tuberculosis exposure or to certain fungal infections can be a problem.